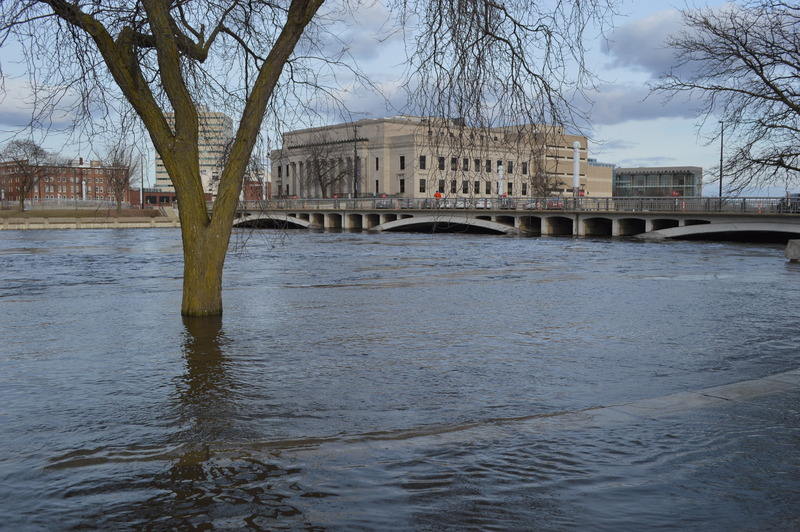 Preparations by the city of Cedar Rapids lessened the likelihood of major damage this week, even as the Cedar River rose to a major flood stage. 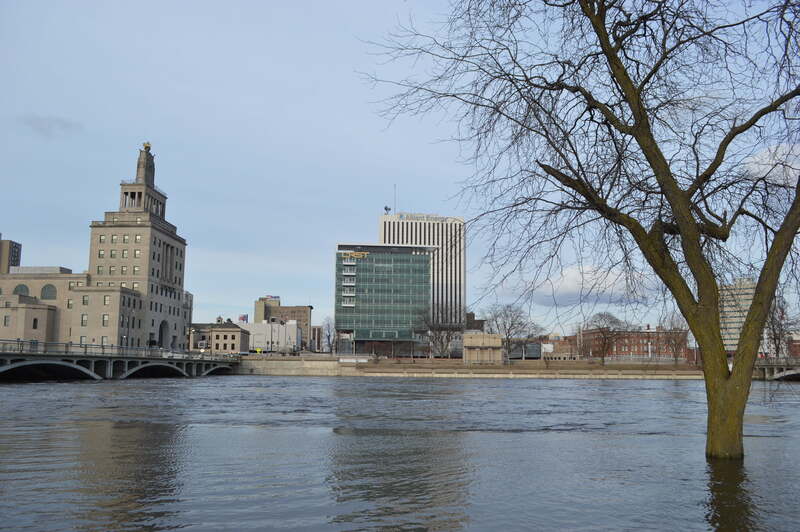 The National Weather Service predicted the river to crest Tuesday, March 19, at 18.3 feet – more than 2 feet above the level considered “major” flooding. That number is well below the 31.12 crest during the devastating flood of June 2008, when floodwaters inundated more than 10 square miles of the city. Until permanent flood protection is built in Cedar Rapids, the city uses temporary measures, including sand-filled barriers, concrete cones over manholes, pumps and plugging underground storm sewer pipes. As of late Monday, the city reported the flood protection measures were holding as anticipated, though roads in low-lying areas near the Cedar River have been closed. Other areas of the state were not faring as well, with considerable flooding in western Iowa and disaster proclamations issued for 41 of Iowa’s 99 counties as of Monday. The National Weather Service warned motorists to not drive on flooded roads.